While you might not consider a freezer to be a particularly dangerous item, it is still important to keep in mind that freezers can and do cause injury. Possible injuries that can be caused by a freezer include bruises, cuts, pinches, electrical injuries including electrocution and fires, burns from extreme temperatures, coolant chemicals and coils, poisoning from inhaling coolant chemicals, and even crush injuries. Besides physical injuries caused by falls, pinches and more, it is worth noting that food-borne illnesses can also be directly attributed to improper freezer use or function. In fact, the CDC estimates about 1 in 6 Americans (or 48 million people) get sick, 128,000 are hospitalized, and 3,000 die of foodborne diseases each and every year, which makes ensuring your freezer is working properly of the utmost importance. Young children, pregnant women and the elderly are all at increased risk of contracting a foodborne illness. For the most part, safety standards for freezers have been created by a mix of consumer groups, government agencies, producers, retailers, and suppliers and are completely voluntary on the part of manufacturers. Look for a sticker on your freezer that tells you it’s been approved by CSA, ASTM, ANSI, UL, CPSC or some other such safety association. 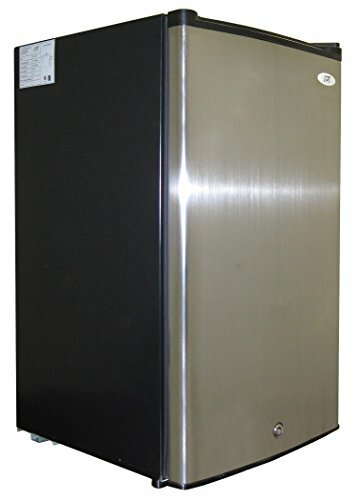 Be cautious of purchasing a freezer made in China, as regulatory standards are much different there than in the United States. Other safety features to look for include anti-tip technology (for upright models), and sealed cooling and electrical components. Locks can help keep children safe as well, and are a nice feature to have. If your freezer came with a warranty or registration card, be sure to complete the form and mail it in to the manufacturer. This way, you’ll be notified of any recalls or other safety information in the event of a problem with your model. Surveys done by Consumer Reports National Research Center show most people seldom or never take this essential safety step. Ensure you’ve made allowances for any space or other clearance requirements necessary for safe installation. Ideally your freezer should have its own dedicated spot on your electrical circuit in order to prevent power overloads and other electrical problems. If you have young children in your home, installing aftermarket freezer safety products such as an appliance latch or lock can help keep them safe. Experts recommend storing food in freezers set to 0°F or below in order to prevent harmful bacteria from growing. Know that freezer temperature can fluctuate depending on the season, so you may want to adjust the controls as necessary to ensure the interior temperature stays at 0°F or below. If your freezer does not come with one already installed, look at purchasing an aftermarket freezer thermometer in order to ensure it is keeping food at a safe temperature. Clean up any spills immediately to prevent the growth of bacteria and risk of foodborne illness. Always read and follow the manufacturer’s instructions for installation, use and cleaning of your freezer, and don’t hesitate to contact them if you should have a question about something specific that isn’t covered in your user manual. Ensure there is adequate ventilation before you begin cleaning your freezer. The fumes from many household cleaners can be toxic and make you ill. Ensure any residue from cleaning products is thoroughly removed before you use your freezer to store food again. 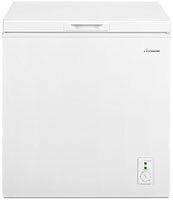 Ensure the freezer is turned off before you clean any electrical components or defrost the unit to clean it. 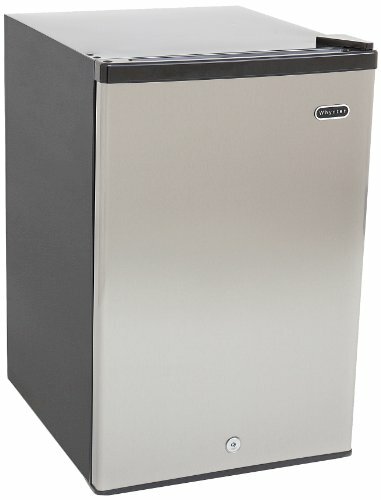 There are two choices when it comes to purchasing a standalone freezer: upright or chest. 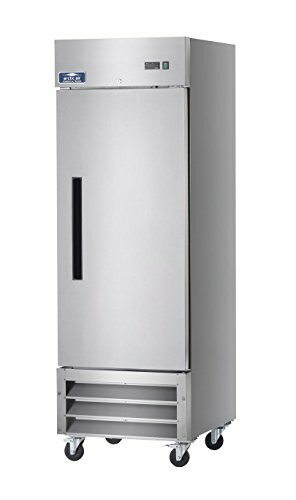 Upright freezers look just like a refrigerator and stand upright, with a door that swings open to either the left or right. They will have storage space in the door and on shelves. 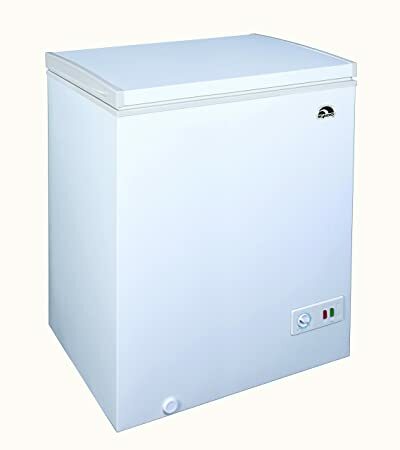 Upright freezers are popular for their ease of finding and storing your food, but they can cost more to operate than a chest-style freezer. No matter which model you choose, you’ll want to ensure you’ve measured accurately to ensure it will fit in your space, and that your electrical can support its operation. Chest-style freezers feature a lid on top with a deep compartment to store your food in. They will usually come with a basket (or two) to keep items easily accessible at the top of the freezer. Chest freezers may be more economical to operate, but can be difficult for some people to reach into the bottom of to remove items. 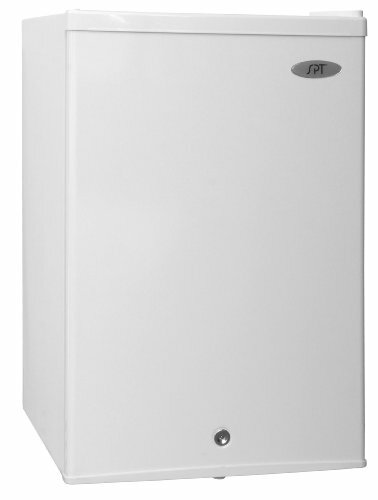 With the above tips and information in mind, in no particular order here are 40 of the freezers that we consider safest, based on available features and average customer ratings and reviews. 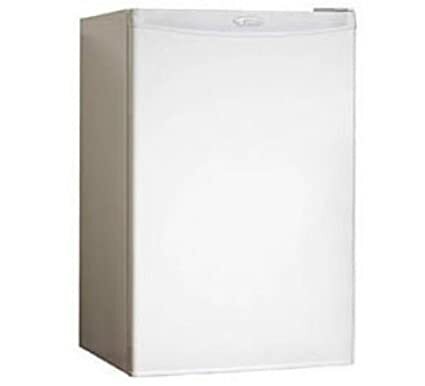 This upright freezer offers a compact design with 3.0 cubic feet of storage space. There are two interior shelves and one bottom basket for all your storage needs. 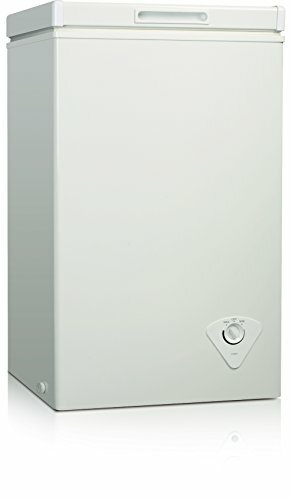 It boasts an adjustable thermostat and adjustable legs to help find the perfect temperature and position. This upright freezer offers a compact design with 1.1 cubic feet of storage space, with a built-in lock to keep your items secure. Its space-saving design is ideal for dorm rooms, offices, and other spots where space is at a premium. This upright freezer boasts a generous 20.9 cubic foot storage capacity and has multiple interior shelves to keep food organized. It features ArcticLock™ thicker walls that will keep your food frozen for at least two days in case of a power outage. This upright freezer boasts 3.2 cubic feet of storage capacity and is available in a number of different size configurations to suit all your food storage needs. It comes complete with 2 quick freeze shelves and manual defrost option. This upright freezer boasts 2.1 cubic feet of storage capacity and comes complete with 2 wire shelves for all your food storage needs. 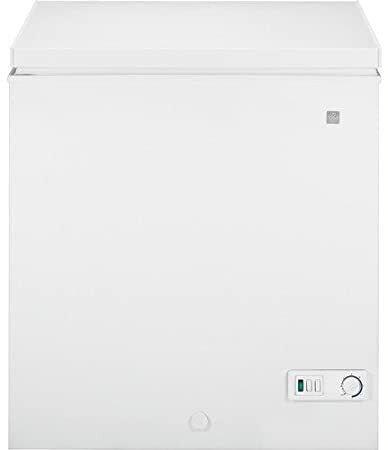 It features a recessed handle for a clean, streamlined look and mechanical thermostat for easy adjustments. This upright freezer boasts 2.1 cubic feet of storage space and comes complete with a front door lock to keep your items secure. There are two removable wire shelves inside. With its compact design, it’s ideal for use in apartments, dorm rooms, and other small spaces. 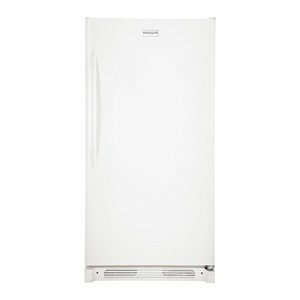 This upright freezer offers 14.4 cubic feet of storage capacity along with bright interior lighting to find what you need easily. The power-on indicator light lets you know it’s working, and ArcticLock™ thicker walls will keep your food frozen for at least two days in case of a power outage. 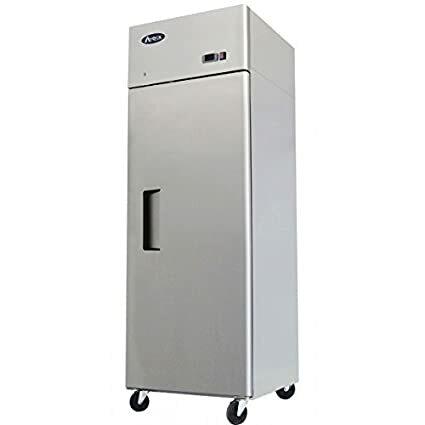 This upright freezer boasts 3.0 cubic feet of storage capacity and features a compact design that is ideal for offices, dorm rooms, apartments, and other small spaces. It comes complete with 3 storage baskets for ease of adding and removing items. 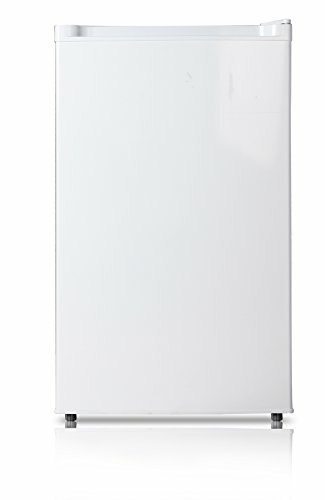 This upright freezer boasts 13.8 cubic feet of storage space and comes complete with a lock with pop-out key. You’ll never have to defrost this model thanks to its frost-free operation, and it includes 3 wire shelves and 1 removable trivet to help keep your freezer organized. 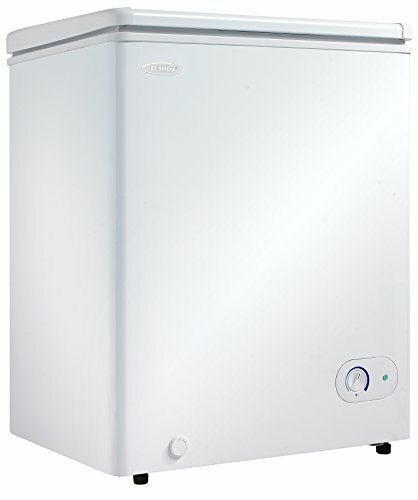 This upright freezer boasts a generous 18.7 cubic foot capacity and features an integrated automatic ice maker. Full-width glass shelves, Luxury-Glide® full-width freezer drawers, and a soft freeze bin help keep your food safe and organized. This upright freezer boasts a 13.8 cubic foot capacity with adjustable wire shelves to help you keep all your frozen food items organized. You’ll never have to defrost this model thanks to its frost-free operation, and the ArcticLock™ thicker walls will keep your food frozen for at least two days in case of a power outage. 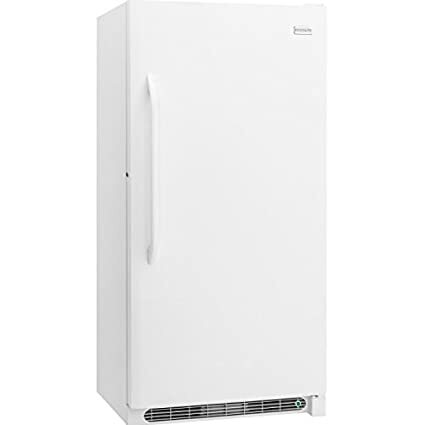 This upright freezer features 3.0 cubic feet of storage space and a compact design that makes it ideal for use in dorm rooms, apartments, offices, and other small spaces. The door is reversible for opening on the left or right side. This upright freezer boasts a generous 20.5 cubic feet of storage capacity and comes with storage baskets and space in the door for keeping all your frozen food fresh and organized. The bright interior light ensures you can find exactly what you’re looking for. 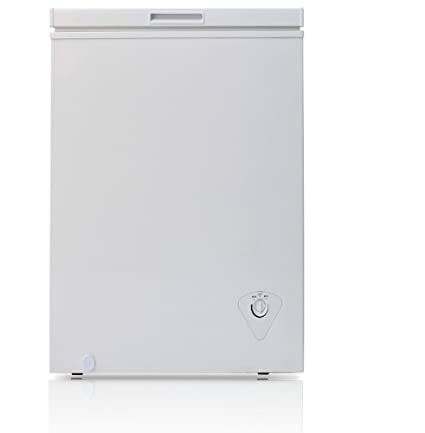 This sleek-looking upright freezer offers 13.7 cubic feet of storage space with a frost-free design that eliminates the need for regular defrosting. 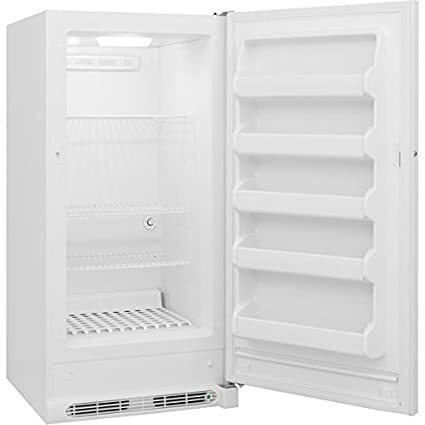 This upright freezer boasts a 20.3 cubic foot capacity and comes complete with 4 wire shelves, 6 full-width plastic door racks, and a slide-out wire basket to help keep all your frozen foods organized and easy to find. 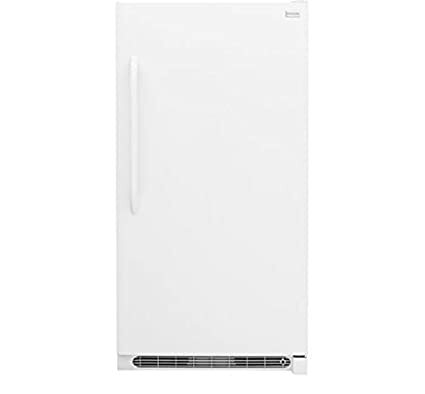 This upright freezer boasts a generous storage capacity of 20.5 cubic feet and offers 2-in-1 versatility as it can also be used as a refrigerator, if desired. It features a frost-free design along with in-door storage, LED lighting, and temperature alarm. 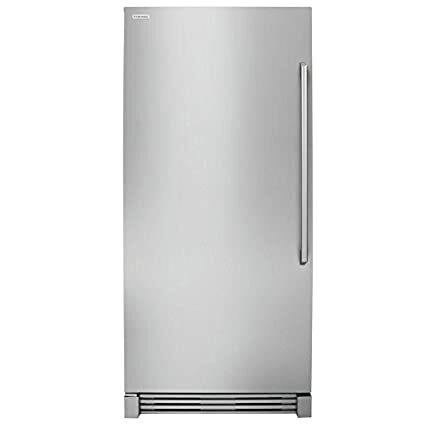 This sleek and stylish upright freezer boasts a large 21.4 cubic foot storage capacity and features several shelves, drawers, and more to help keep your food organized. It features an enhanced temperature management system to keep your frozen foods at just the precise temperature. 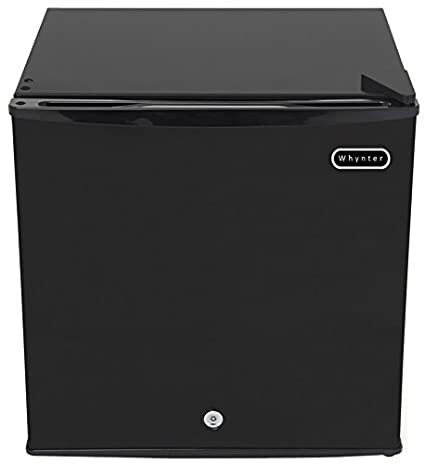 This professionally-styled upright freezer boasts a massive 22.6 cubic feet of storage space and comes complete with 3 shelves and several food pans to help keep your freezer looking neat and tidy. 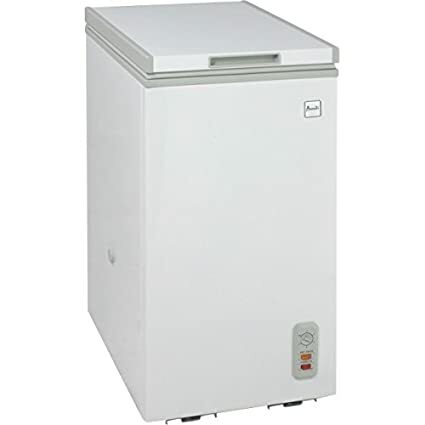 This upright freezer boasts 23 cubic feet of storage capacity and has been manufactured to the highest of quality standards. It comes with 3 adjustable shelves for all your food storage needs. This upright freezer boasts a 17 cubic foot capacity and features frost-free operation, so you don’t have to worry about defrosting it. It comes complete with 4 wire shelves and 1 removable trivet to help keep your food organized. This chest freezer boasts 3.8 cubic feet of storage capacity and is available in a number of different size configurations to suit all your food storage needs. It comes complete with an adjustable wire basket and insulated cabinet and lid. 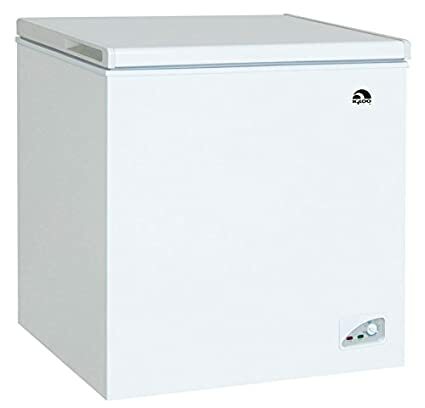 This chest freezer boasts 7.2 cubic feet of storage capacity and is available in a number of different size configurations to suit all your food storage needs. It comes complete with an adjustable wire basket and compartment divider to increase organization. 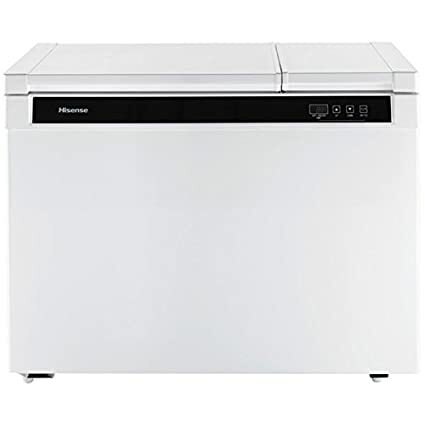 This chest freezer boasts 5.0 cubic feet of storage capacity and includes a removable storage basket to keep most-used items within close reach. It features an interior that’s easy to clean and balanced hinges for smooth operation. 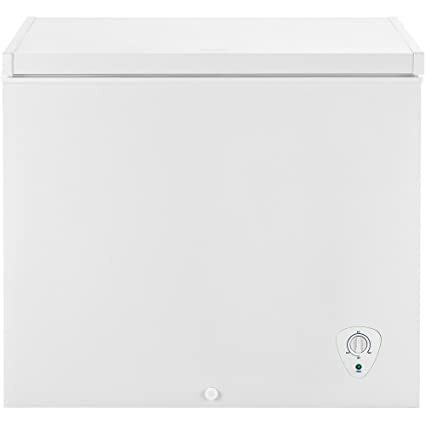 This chest freezer boasts 2.1 cubic feet of storage capacity and features an interior that’s easy to clean, along with balanced hinges for smooth opening and closing. 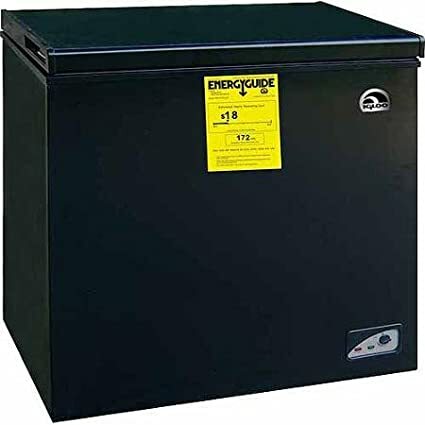 This chest freezer boasts a 5.5 cubic foot storage capacity and features a foam insulated cabinet and lid for increased energy efficiency. It comes complete with a compartment divider and adjustable wire basket for ease of organization. This chest freezer features a whopping 21.5 cubic foot storage capacity that is ideal for large families or those who like to shop in bulk. The included SpaceWise(R) organization system helps to customize this freezer to fit your family’s needs. 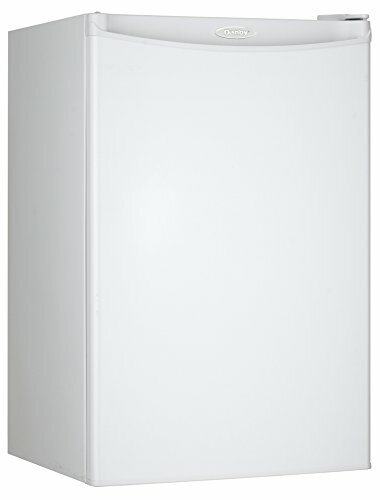 This chest freezer boasts a 7.0 cubic foot capacity and recessed handle for a clean and streamlined appearance. Its easy-clean interior and balanced hinge design make it comfortable to use. This chest freezer boasts a 5.0 cubic foot capacity and comes complete with a removable basket for all your food storage needs. It comes with an integrated lock and key to help keep food secure and children out. 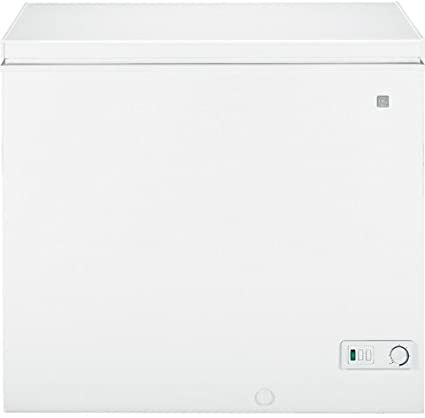 This chest freezer boasts 3.5 cubic feet of storage capacity and features an easy-clean interior and balanced hinge design that make it comfortable to use. 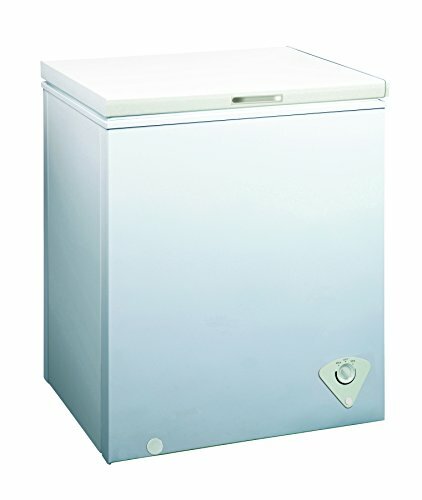 This chest freezer boasts 7.2 cubic feet of storage capacity and comes complete with a front drainage opening for ease of defrosting. It also has adjustable leveling legs and a power on indicator light that lets you know it’s working as it should. This chest freezer boasts a 7.1 cubic foot capacity that can hold up to approximately 250 pounds of food and comes complete with a removable storage basket for all your food organizing needs. This chest freezer boasts a 2.1 cubic foot capacity along with a slim design that makes it ideal for use in smaller spaces. It comes complete with a removable storage basket, adjustable thermostat, and side drainage hole. 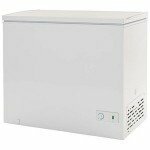 This chest freezer boasts a 7.1 cubic foot capacity in a compact design that makes it ideal for use in areas where space is at a premium. It includes one storage basket for keeping frequently-used items in an easy-to-reach spot. This chest freezer boasts 7.0 cubic feet of storage capacity and comes complete with two removable, sliding storage baskets to help keep your frozen foods organized. Thanks to its recessed handle, it has a sleek, streamlined appearance. 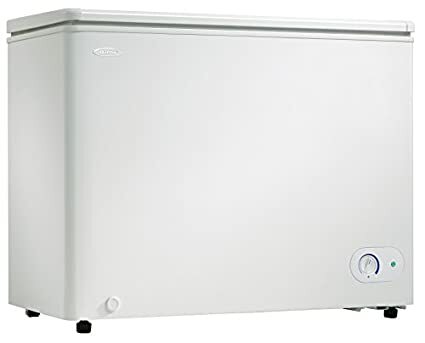 This chest freezer boasts a 5.1 cubic foot storage capacity and adjustable thermostat that helps you find just the right temperature for storing your food. It comes complete with a removable storage basket and features a front drainage hole for easy defrosting. 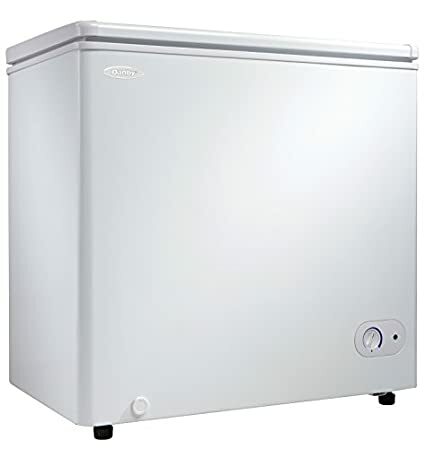 This chest freezer boasts 9 cubic feet of storage capacity in a dual zone design that allows you to have one area dedicated to deep freezing and the other for safe defrosting. It comes complete with 2 removable baskets for all your organizing needs. This chest freezer boasts 5.0 cubic feet of storage capacity and features a removable storage basket for ease of use and organization. The recessed door handle makes for a streamlined look and has a foam insulated cabinet and lid for increased energy efficiency. This chest freezer boasts a 5.3 cubic foot storage capacity and comes complete with one storage basket to help keep your frozen foods organized. Exterior temperature controls let you adjust the temperature without opening the lid, keeping food at a safe temperature. 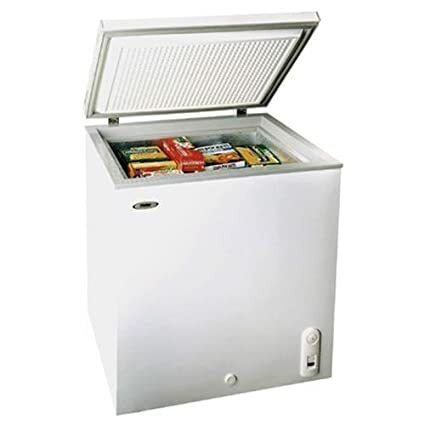 This chest freezer boasts a 7.0 cubic foot storage capacity and can hold up to approximately 250 pounds of food. Its compact design is ideal for use in smaller spaces and the flat-back design will help save on setup space as well. 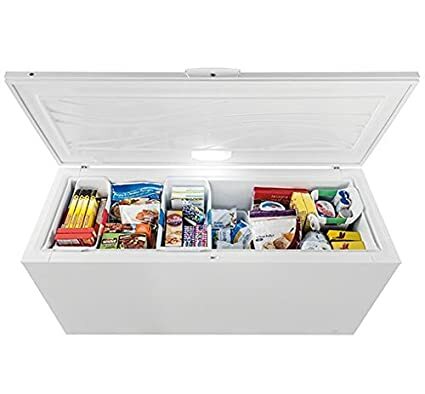 This chest freezer boasts 5.1 cubic feet of storage capacity and comes complete with an adjustable thermostat and removable storage basket to keep your food nice and cold.